The following workshops and technical assistance were developed, implemented, and evaluated as part of the California S3 project. They are now being offered by the S3 Coaches through the Cal-SCHLS TA Center as a custom service. For more information about these workshops and their cost, email schoolclimate@wested.org or call the helpline 888.841.7536. See also the Single School Culture workshop materials. This workshop provides an overview to: (1) the importance of a positive school climate and culture for improving academic achievement, learning engagement, school attendance; and graduation; and (2) the lessons learned from the S3 project on effective strategies. One of the most important first steps is for adults to reach agreement on the norms, values, and expectations that will foster a positive school climate. Participants will learn now to engage adult stakeholders in a norming process to create a Single School Culture. Study local survey data, particularly Cal-SCHLS results, to identify and prioritize needs and formulate strategic goals. Identify strategies and programs that meet the identified needs. Determine what additional information is needed to guide decision-making. Develop an action plan for program implementation. 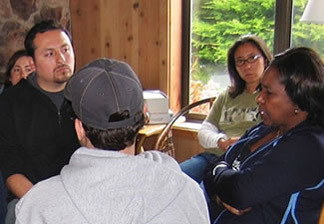 Obtain student input into school climate issues and improvement planning. Serve as a school climate improvement strategy that provides an exercise in meaningful participation and demonstrates that the school cares about its students and what students think and feel about the school.